Lead singer, guitarist, pianist, and songwriter for the rock band Muse, the group known for songs like "Starlight" and "Uprising." He is joined in the band by bassist Christopher Wolstenholme and drummer Dominic Howard. 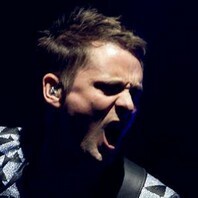 How much is Matthew Bellamy worth?